As promised from my previous post on The Honest Co. event I attended with Jessica Alba, I swore I would write a post about our amazing dinner at ABC Kitchen in NYC. I read about ABC Kitchen in a magazine that was talking about their Salted Caramel Sundae. Which of course sounded amazing to me so I put it on my â€œto-doâ€ list for when Iâ€™m in the area to check them out. When I was invited to the Mom Trends event for the launch of Jessica Albaâ€™s new company The Honest Co. I was thrilled to find out the event was going to take place at ABC Kitchen. I told my hubby he was coming with and we would have dinner there after my event. I couldnâ€™t wait. Could I order the sundae for my appetizer, entrÃ©e and dessert? Would that be wrong? The staff was super nice from David the host, to our servers. They were fantastic. Our server brought out the Roasted Kabocha Squash Toast, Fresh Ricotta, and Apple Cider Vinegar which melted in your mouth. It had everything, sweet, salty and just super savory. We loved it. 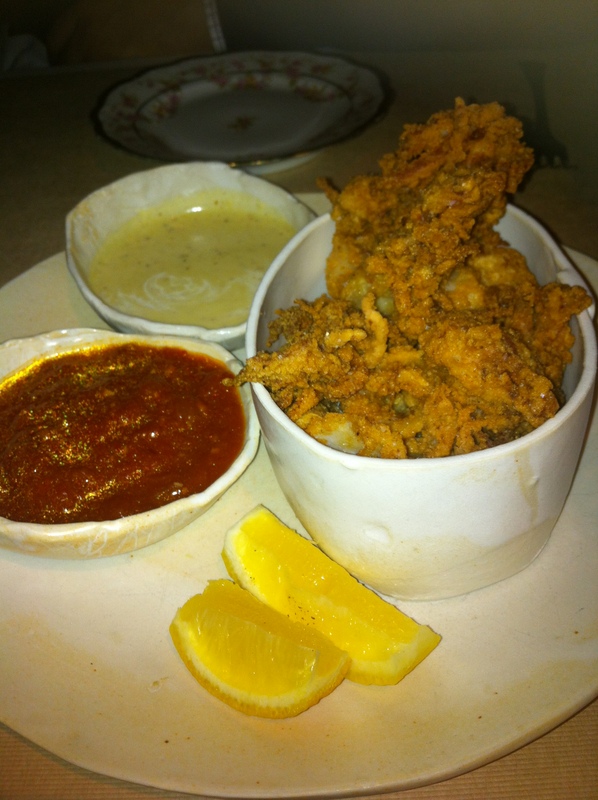 We wanted to start with the Pretzel Dusted Calamari with Marinara and Mustard Aioli. Let me say that I am not a fan of calamari at all. I never order it but my husband loves it. After looking at their menu I had the feeling I would like theirs. Often times I find people donâ€™t cook it right and the texture is too chewy and just bad so I never order it. This was AMAZING! 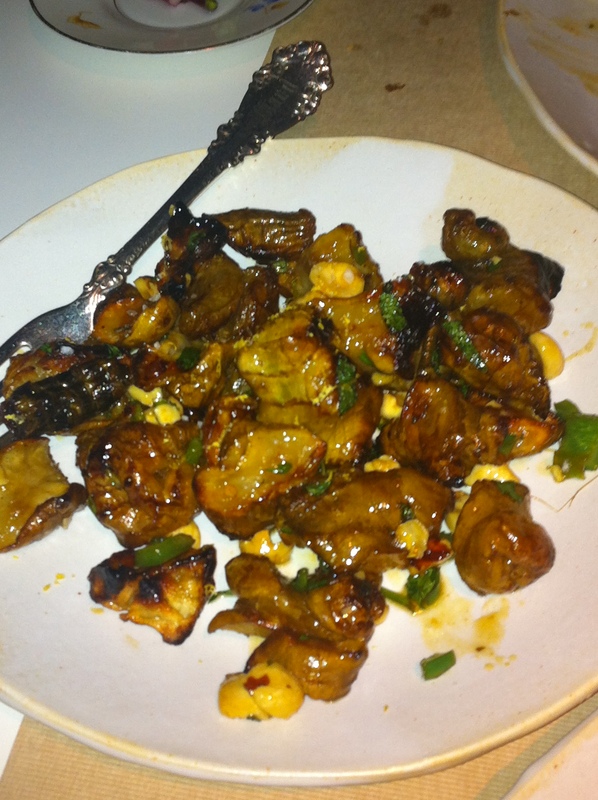 I wouldnâ€™t say I will order calamari anywhereâ€¦ but I will order it at ABC Kitchen for sure. They do it right and the aioli sauces were amazing. The mustard might be my favorite as it had a wasabi flavor to it which I thought paired nicely with the calamari. 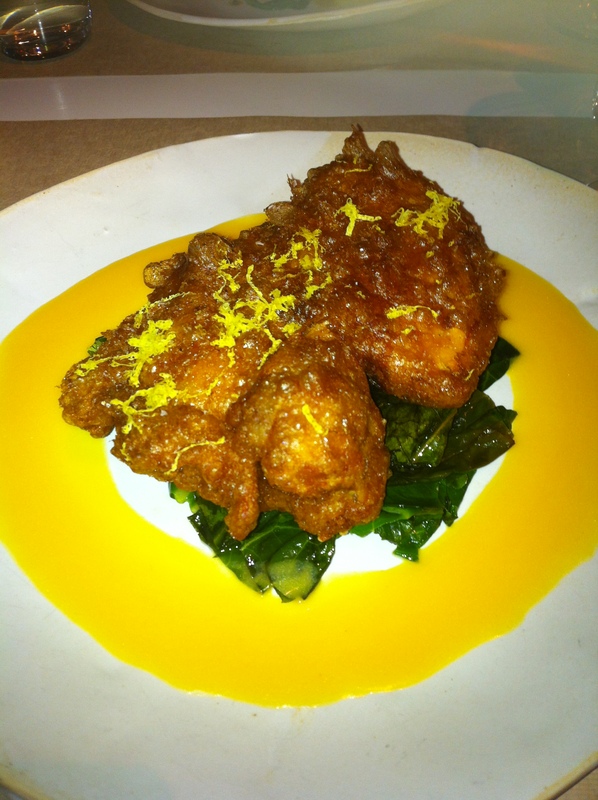 For my entrÃ©e I chose the Fried Organic Chicken with Collard Greens and Hot Sauce Butter. Incredible! My husband loved it too! It was fried perfectly all around. Crunchy goodness but yet perfectly moist inside. The collard greens were cooked perfectly and the hot sauce butterâ€¦ yum. If you are craving something fried this is for you. 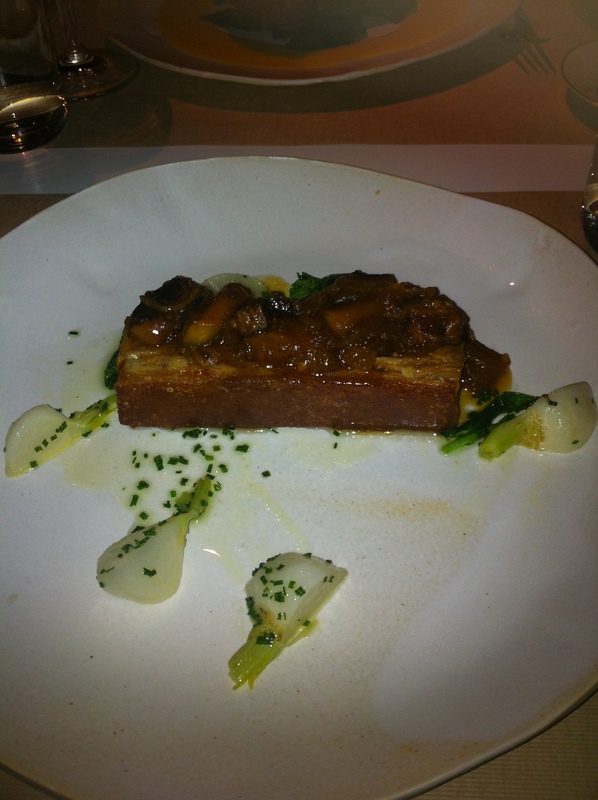 My hubby ordered the Roast Suckling Pig with Plum and Smoked Bacon Marmalade and Braised Turnips. Again it was amazing. The pig just fell apart, no knife needed. It melted in your mouth. It was sweet with a slight tang to it. I never order pig but when we return this is what Iâ€™ll be ordering. We also tried the sunchokes. Whatâ€™s a sunchoke? I asked that question myself. It is a hybrid of an artichoke and a sunflower. The texture is that of an artichoke and the way it was prepared had a smoky flavor. Very yummy. Ok dessertsâ€¦ Iâ€™ve gotta say everything we ordered was absolutely amazing. But I was really there to try the sundae. 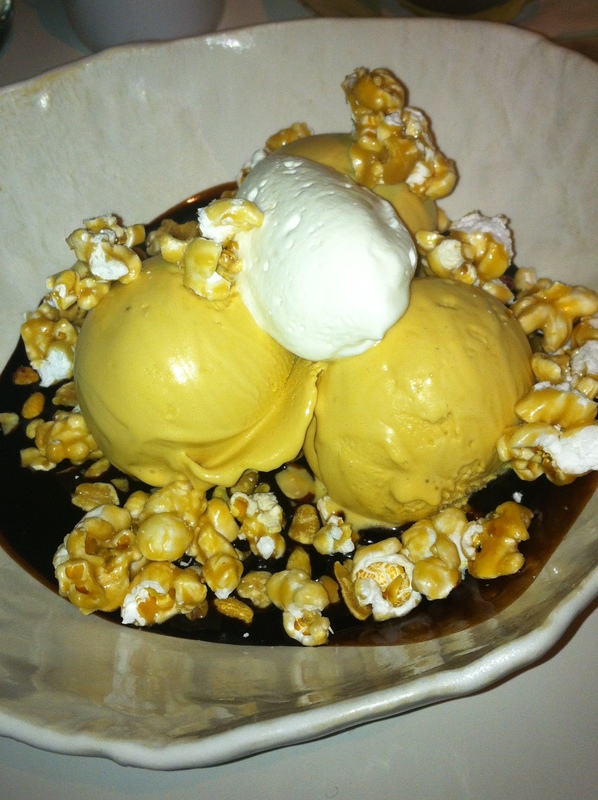 Hereâ€™s the scoop on the Sundae â€“ Salted Caramel Ice Cream, Candied peanuts & popcorn, Whipped Cream & Chocolate Sauce. I mean really! It was insane! Salty, sweet, creamy, yummy goodness. The only bad thing about this sundae was that I couldnâ€™t finish it. Everything we ate was so scrumptious (and I was saving room) and I couldnâ€™t finish it. But it was incredible. Everything I imagined and then some. My hubby ordered the Chocolate Cake with Malted Chocolate Ganache & Toasted Marshmallow Icing but debated over the warm doughnuts. The chocolate was very good. 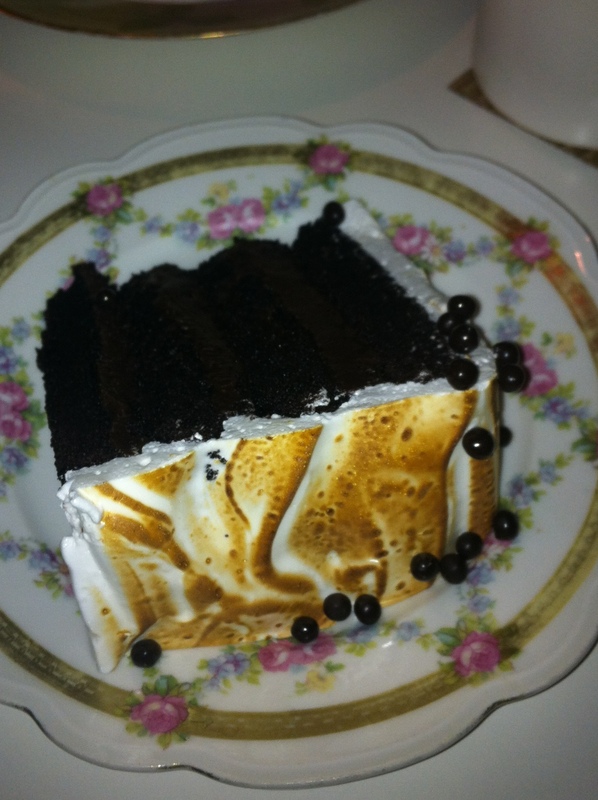 I love marshmallows and thought the icing was sublime. It reminded me of a meringue. 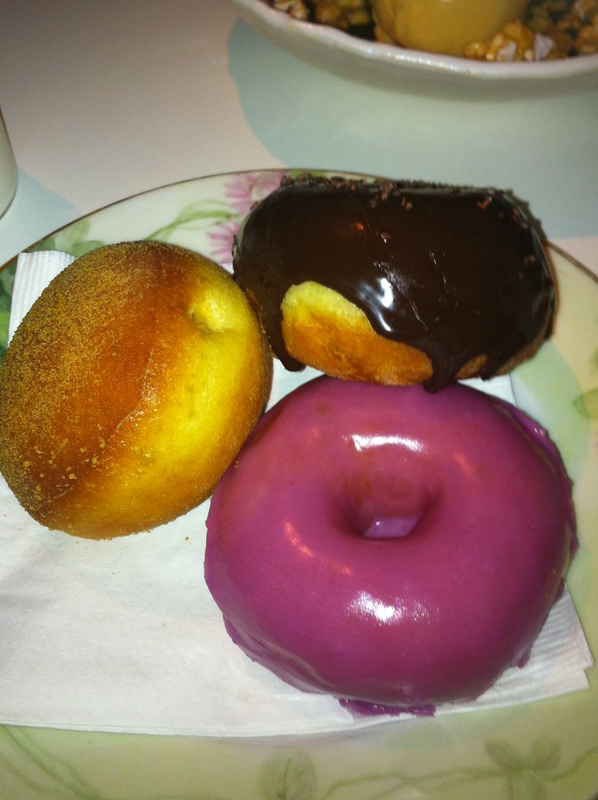 Butâ€¦ our server also brought us out Warm Doughnuts. Some might say doughnuts? Who cares! No really these doughnuts arenâ€™t just any doughnuts. They are lighter than air, puffy, delectable pastries. According to my hubby â€œThey are the best doughnuts Iâ€™ve ever had, and Iâ€™ve had a lot of doughnutsâ€. They really were. We got 3 doughnuts. One with chocolate frosting, another with concord grape jam frosting and a pumpkin cream stuffed doughnut with cinnamon sugar on the outside. That one was our absolute fave! 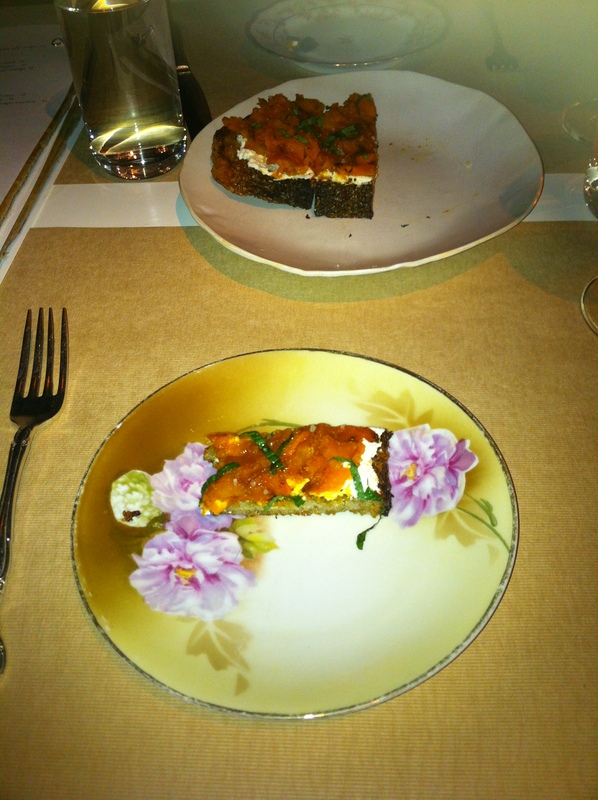 We had the most amazing meal with incredible service at ABC Kitchen and canâ€™t wait to return. Now I know why itâ€™s a hot spot amongst all the celebs (Hugh Jackman, Jessica Alba, Parker Posey and more). Thatâ€™s right! The celebs love this place and who can blame them. Oh did I mention I was sitting next to Parker Posey? Super cool chick who I hope gets on Twitter and Facebook soon. After all there is a Facebook Fanpage devoted solely to getting Parker Posey on Facebook. Plus I think her posts would rock. If you are in the city you MUST check out ABC Kitchen. If you live in the city call them NOW and make a reservation. I promise you will love it. Visit http://www.abckitchennyc.com/ for more details. *Disclaimer- I was not required to write this post. The thoughts and opinions expressed here are my own.